The purpose of the Long-Range Transportation Plan is to develop a vision for transportation in the state over a 20 year planning horizon. This vision is comprehensive, covering all transportation modes (e.g. automobiles, public transit trains and buses, ferries, air travel) and sectors (e.g. commuter travel, freight). 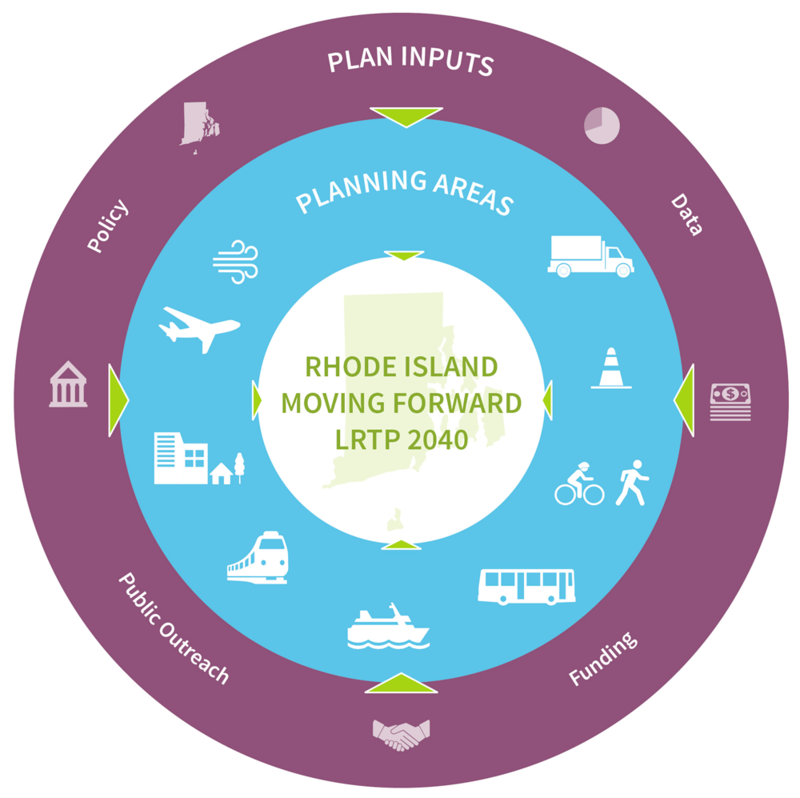 Long-Range Transportation Plans are informed by a variety of resources including federal and state transportation and land use policy, transportation data sets, funding availability and projections, and public and stakeholder outreach. Action-orientated planning: Develop a plan that is action-orientated, focused on using available resources and strategies to program, prioritize, and complete projects, make necessary legislative and policy changes, and realize the goals and visions adopted by the LRTP. Data-driven: Use data and metrics to inform project decisions, prioritize needs, evaluate alternatives, and ultimately propose projects, strategies, and actions with measurable impacts on the transportation network. Public and Stakeholder Engagement: Use innovative tools and resources to reach a broad audience of potential stakeholders and provide several opportunities throughout the process to engage in a two-way conversation that brings valuable feed back to the planning process. 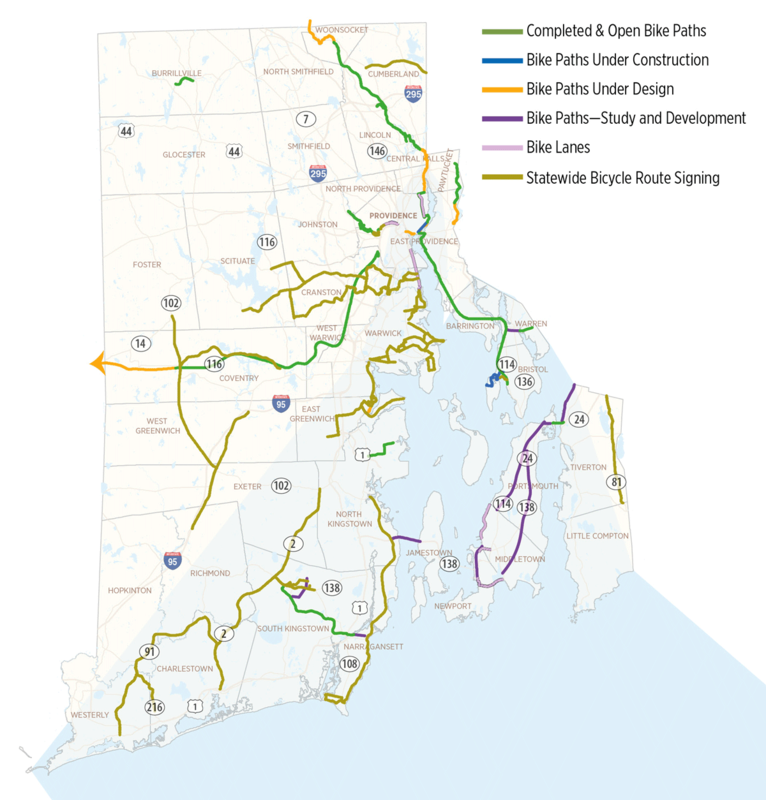 The Bicycle Mobility Plan (BMP) will take a more detailed look at the specific conditions, needs, and gaps surrounding bicycle infrastructure and operations in the State of Rhode Island and identify strategies and projects that could help close gaps, improve bicycling in the State, and achieve the 20 year vision set out by the Long-Range Transportation Plan. Implementation Plan: This plan will result in an implementation plan that will help guide investment in bicycle infrastructure and operations around the state to advance bicycle mobility and safety around the state. 20 Year Vision: Propose actions and outcomes that align with the vision laid out by the long-range transportation plan and contribute to meeting the goals laid out by that plan for the state. David Giardino - Turino Group, Inc.